Korea’s Kospi SEU, +1.07% led gains, rising 1.2%, as attention — for now — shifted away from North Korea. 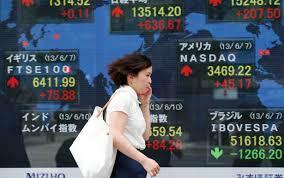 The rebound came after five consecutive trading sessions in the red, to mark its longest losing streak since April. Elsewhere, Hong Kong’s Hang Seng Index HSI, +0.25% was up 0.5% as trading began, while Singapore’s Straits Times Index STI, +0.15% added 0.4%. In Japan, the Nikkei Stock Average NIK, +0.32% was up 0.4%, as a recovery in the U.S. dollar against the yen helped boost export stocks. The dollar was buying 109.16 yen in morning trade, compared with 108.72 yen at the end of stock market trading on Wednesday. Automotive stocks were among the best performers in Tokyo trading, with Mitsubishi Motors 7211, +2.31% rising 2.4%, while Toyota 7203, +1.12% added 1.3% and Honda Motor 7267, +1.19% rising 1.2%. Stocks in Korea were driven by the 1.9% rise in index heavyweight Samsung Electronics 005930, +1.91%, amid a favorable outlook on demand for its organic light-emitting diode, or OLED, screens. There was market chatter that the electronics giant is the sole supplier of OLEDs to the high-end version of Apple’s new iPhone, to be unveiled next week. Meanwhile, Australia’s S&P ASX/200 XJO, +0.25% rose 0.3% with beaten-down banking stocks staging a recovery. Commonwealth Bank CBA, +0.73% rose 0.7%, while Westpac WBC, +0.39% gained 0.6% and Macquarie MQG, -0.06% added 0.2%.